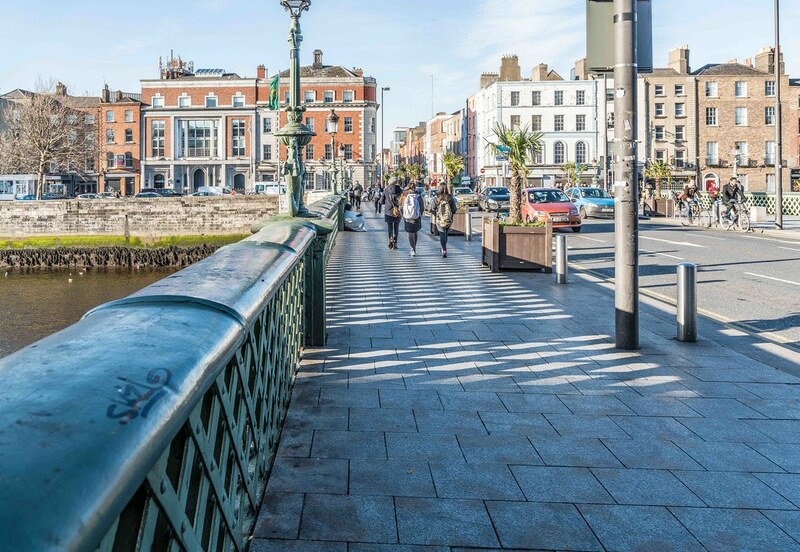 My grandmother usually referred to this bridge as Capel Street bridge and sometimes she called it Essex Bridge. 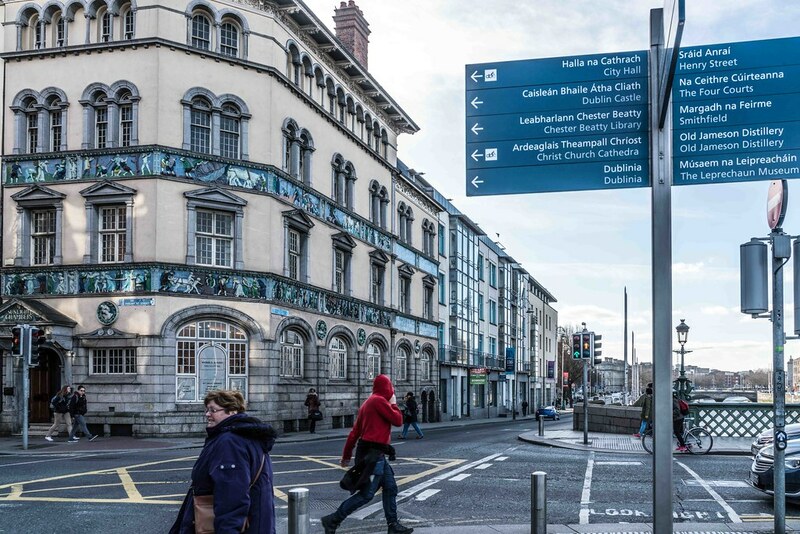 This is an area where I have noticed a huge increase in the number of homeless people and beggars. 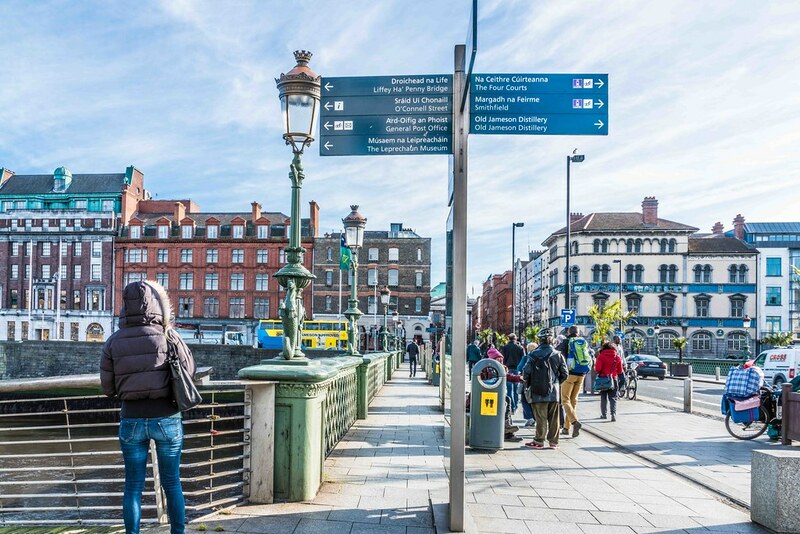 People who do not live in the city centre may not be aware of how serious the problem as become or that it is getting worse week by week. 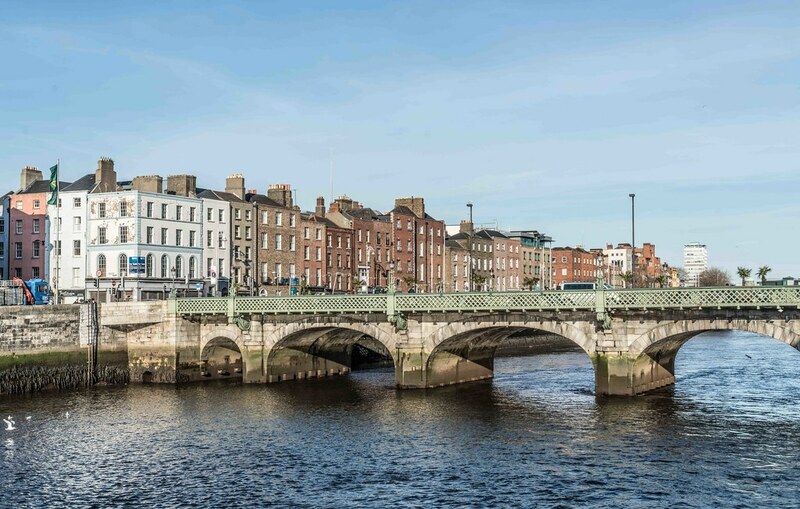 Grattan Bridge spans the River Liffey in Dublin, joining Capel Street to Parliament Street and the south quays. 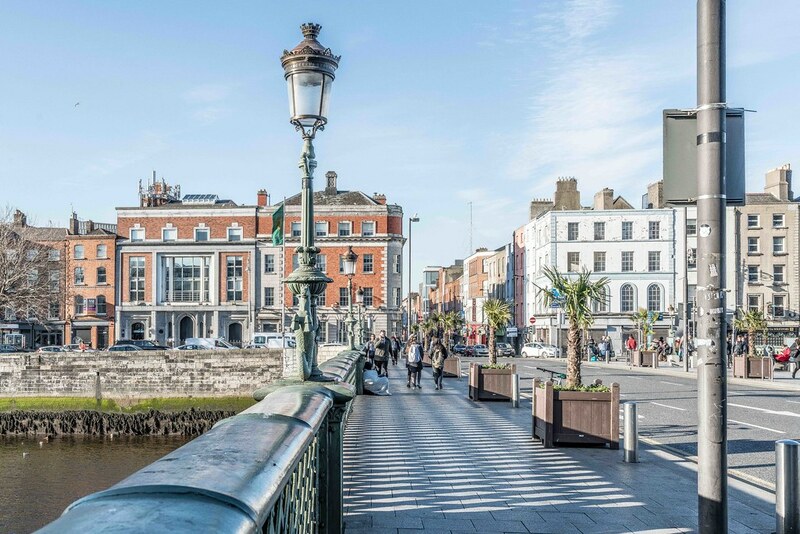 The first bridge on this site was built by Sir Humphrey Jervis as Essex Bridge (named for Arthur Capell, 1st Earl of Essex, Lord Lieutenant of Ireland) to join several of Jervis' developments (including Capel Street and Jervis Street) to the opposite side of the river and to Dublin Castle. Essex Bridge was an arched stone structure with 7 piers, and apparently partly constructed from the ruined masonry of nearby St. Mary’s Abbey on the Northside. 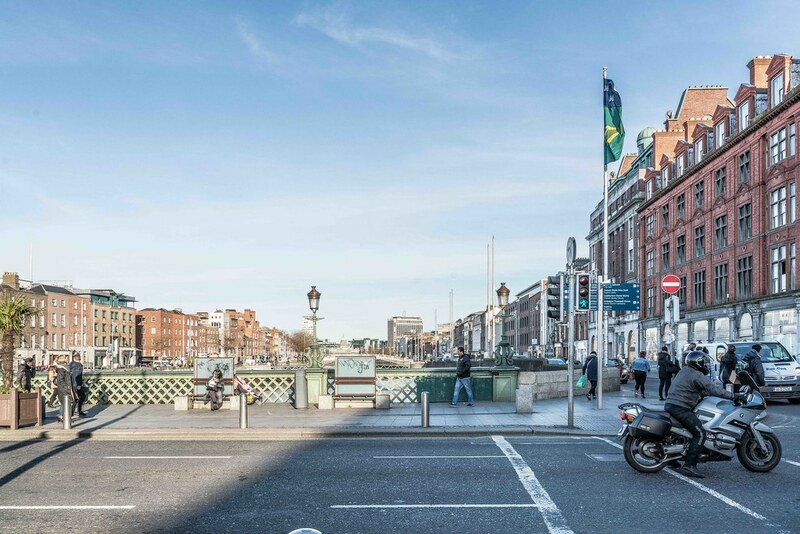 In 1687 the bridge was damaged by a flood resulting in the loss of a hackney and two horses. The damage to the bridge was only partially repaired. In 1751 the second most northerly pier collapsed and damaged the adjacent arches. 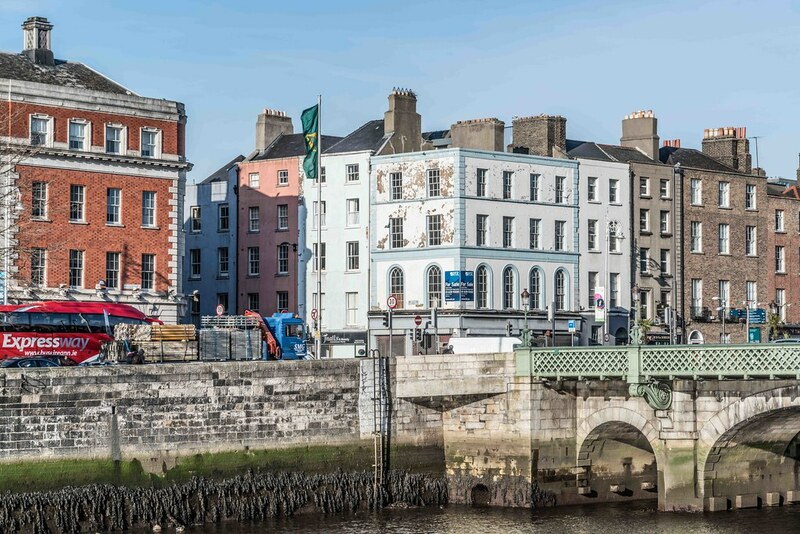 Between 1753 and 1755 the bridge was rebuilt by George Semple, to correct flood and other structural damage and as one of the first initiatives of the Wide Streets Commission. During this construction, some original features were removed. EG: A statue, by John van Nost the Elder, of George I on horseback, was moved in 1798 to the gardens of the Mansion House. In 1937 it was bought by the Barber Institute for Fine Arts in Birmingham, in front of which it now stands. 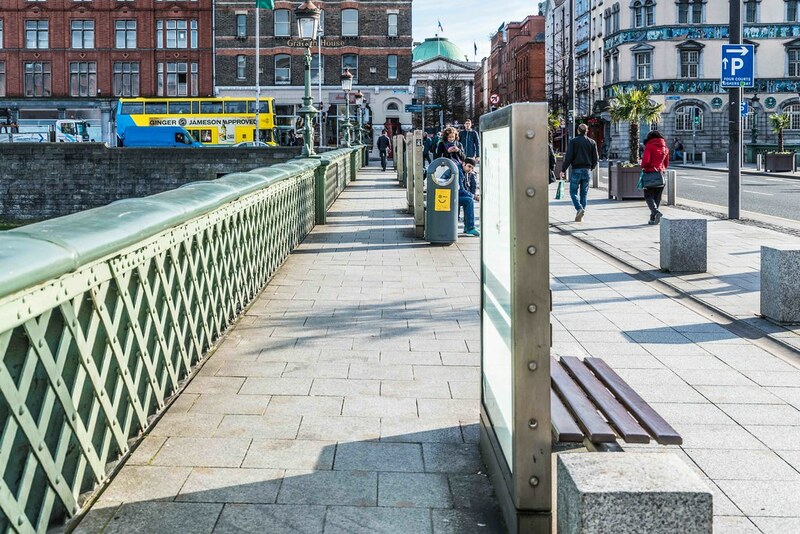 From 1872, the bridge was further remodelled (on Westminster Bridge in London), being widened and flattened with cast iron supports extended out from the stonework so as to carry pavements on either side of the roadway. 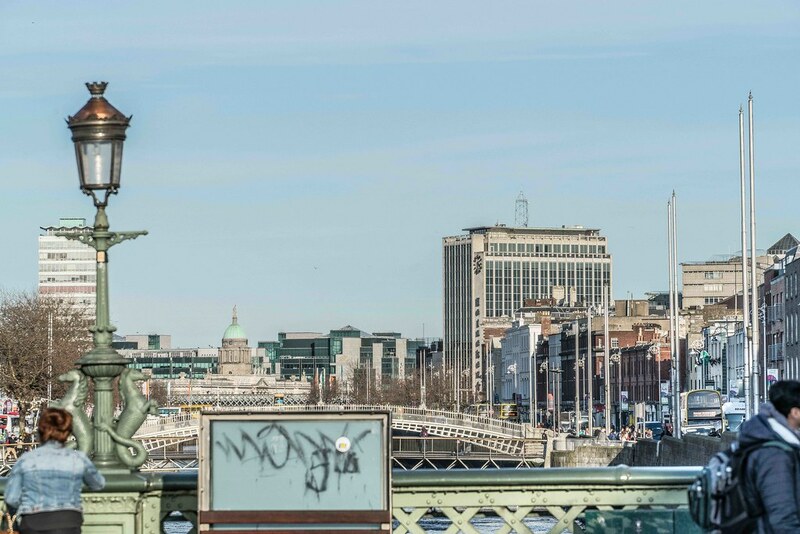 The bridge was (and is still) lit by ornate lamp standards also in cast iron. 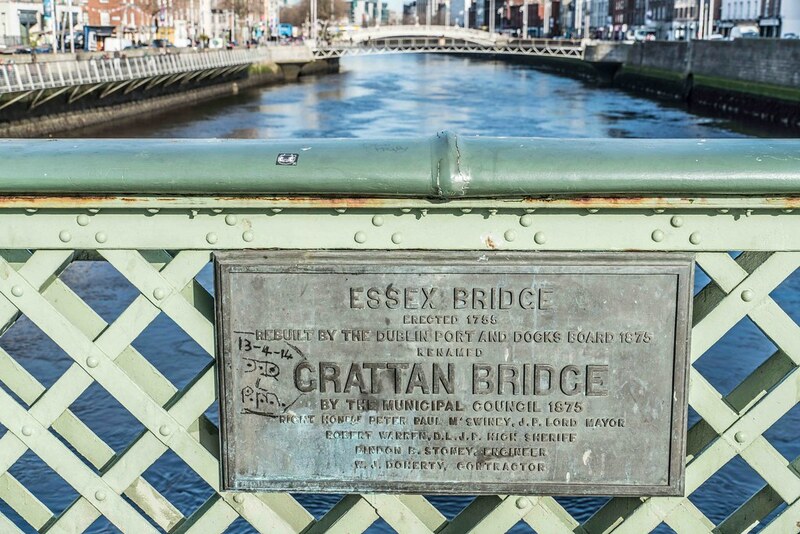 The bridge was reopened as Grattan Bridge in 1874, being named after Henry Grattan MP (1746-1820).